Discover the secret and joy of cooking. 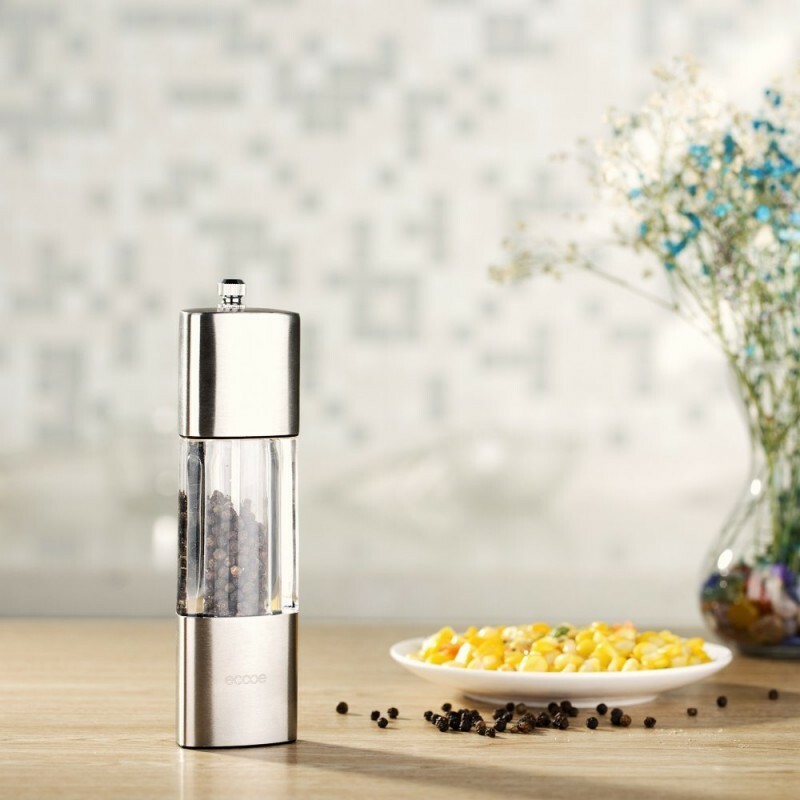 Made of durable acrylic and superior stainless steel, the salt and pepper mill is sure to last for years. The triangular shape fits well with your hands, delivering a comfortable and solid grip. Being made sturdy and flexible, the grinding mechanism will keep working smoothly with proper care. 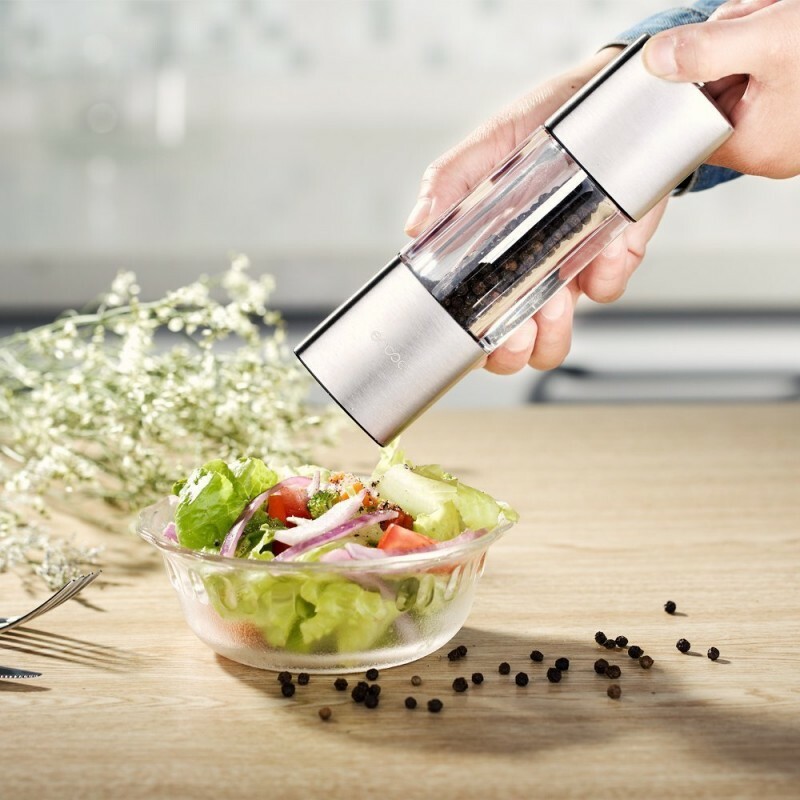 And the freshly grinding pepper gives a stronger taste than the pepper powder — a little secret of delicious meals. 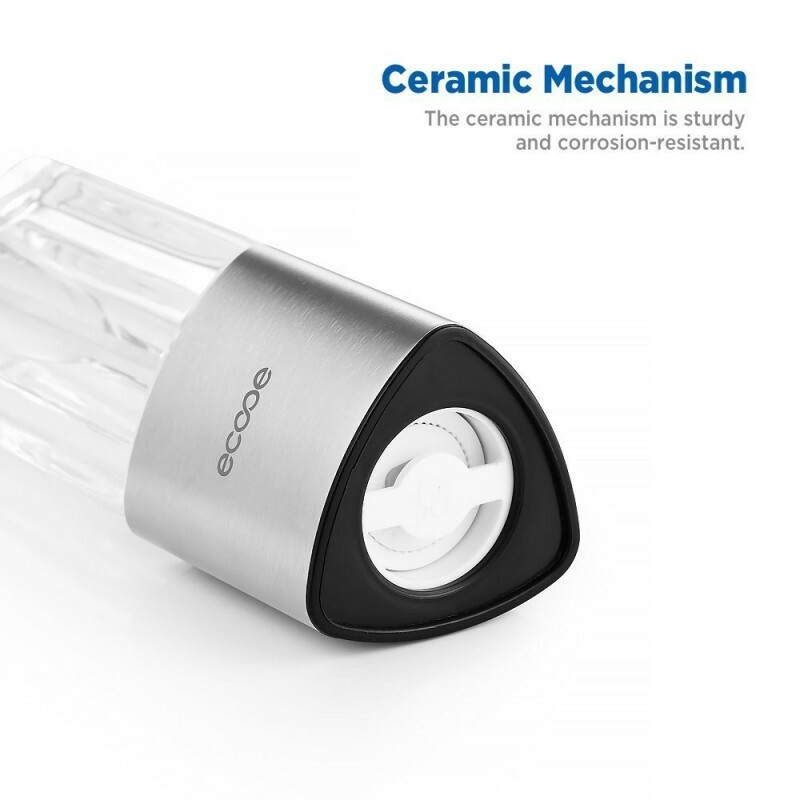 With the adjustable coarseness, the salt and pepper mill becomes a real helper in cooking, especially when it comes to multiple dishes at the same time. Just turn the knob clockwise for a finer grind; turn counter-clockwise for a coarser grind. Prompt delivery. Price is right. Looks good. Good solid quality. Works just fine for spice seeds. Somewhat adjustable as to coarseness of grind. Could be smoother to grind, but I don't use it with hard pepper corns, so it doesn't matter to me. Not very sharp when I spin it. Very well made. Looks fancy and modern. Smooth function, effortless twist, very functional size adjustment. Capacity I'd say is good. My wife and I use it regularly and 3 weeksafter it still has 1/3 of the pepper. Highly recommend. Nice item for the money, but not very precise. Looks great on my table. Takes a long time to dry after rinsing (3 days) otherwise ceramic grinder clogs. After that works great although adjustment needs tending to after each use (gets loose real fast and goes to coarse). Better than I thought it would be. Let's me grind the pepper corns extra large the way god intended them to be. This is a very good grinder. 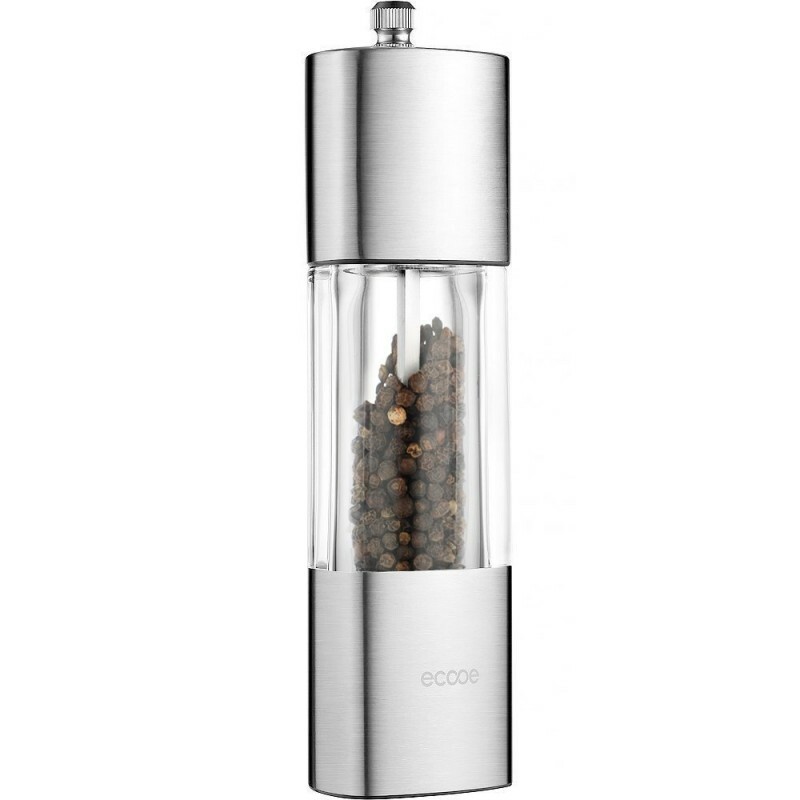 The ceramic mill grinds the pepper very evenly, and while there's not a lot of variation between "fine" and "coarse" with this mill, it's not a problem for me. The triangular design takes a little getting used to, but again, it's not a problem for me. Filling this mill is a breeze and so is using it, which I do use it every morning to pepper my eggs for breakfast. I also like the transparent design because I like to see whether it's time to fill it out not. It works. Grinds well and consistently. 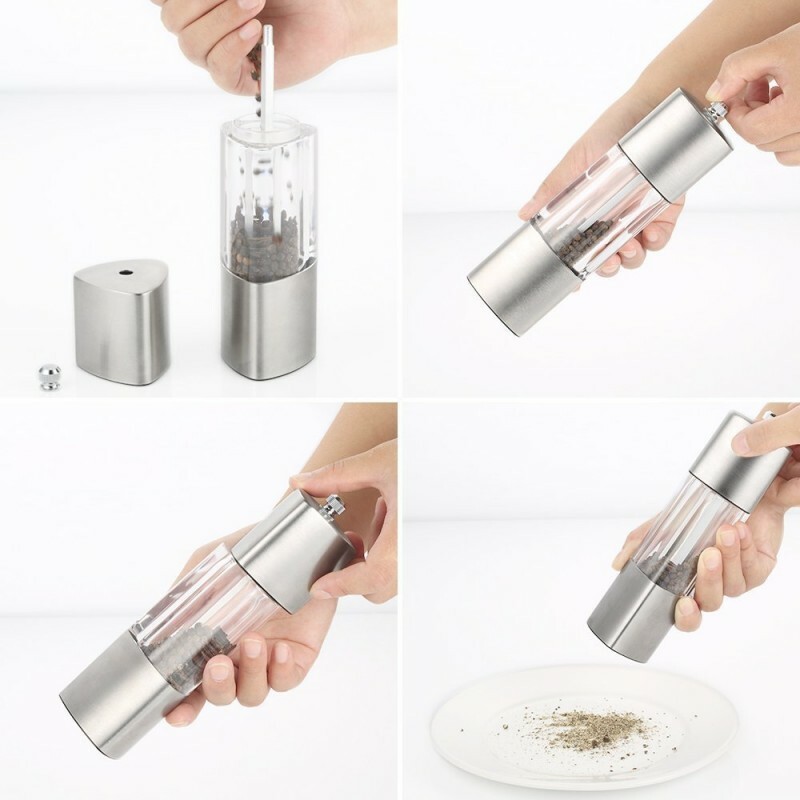 Very stylish pepper grinder,looks good with and decor. Got two of these. They work fine as expected. Works very well and is nice to look at.